The session I recorded back at the Moog Sound Lab in Asheville, NC in November 2017 while on the A flame my love, a frequency tour is now available for listening on Moog Music Inc.‘s Soundcloud! Moog have sadly decided to stop the production of the Moogerfoogers, but I’m honored that they chose the session I recorded as the goodbye to these amazing units! The music you’ll hear was recorded in a single afternoon, “Winter dawn” using the MF104M Analog Delay and MF105M MIDIMuRF just like on the album, while the four other recordings use the chord sequences from different songs on the album as starting points, revisiting them through a daisychain of MF101 Lowpass Filter, MF102 Ring Modulator, MF103 12-stage phaser and MF104M, with the last song also using the CP251 Control Processor. I absolutely loved exploring even deeper soundscapes through those pedals, and these versions give you a glimpse of what the next album will sound like in part (in part because there will be new intruments!). As always thanks for listening, and of course a huge thank you to the people at Moog, and a very special thank you too to Iker Spozio for the amazing artwork! « LIVE MUTEK JAPAN IN TOKYO NOVEMBER 4TH 2018! 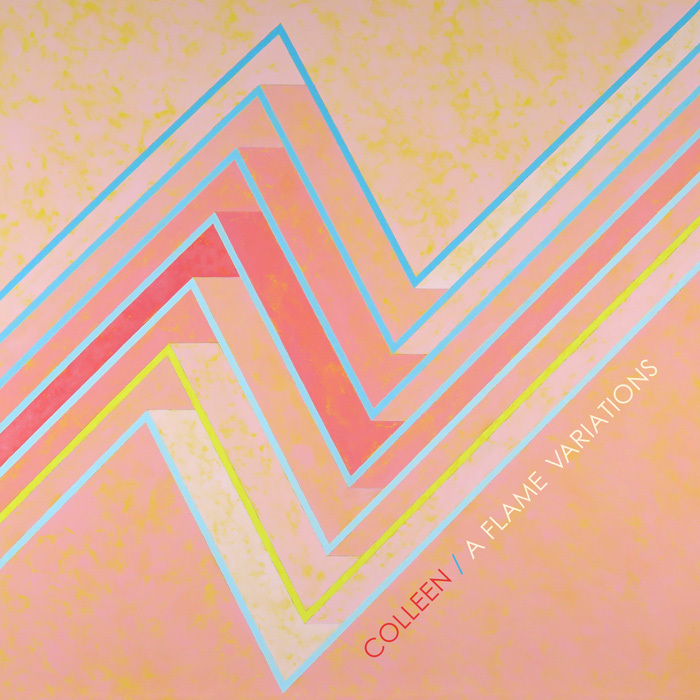 You are currently reading A FLAME VARIATIONS (LIVE IN THE MOOG SOUNDLAB) at colleen.